The tallywhacker is a very sensitive piece of equipment, and when it gets chilly, what happens is anything but cool. Don’t worry! 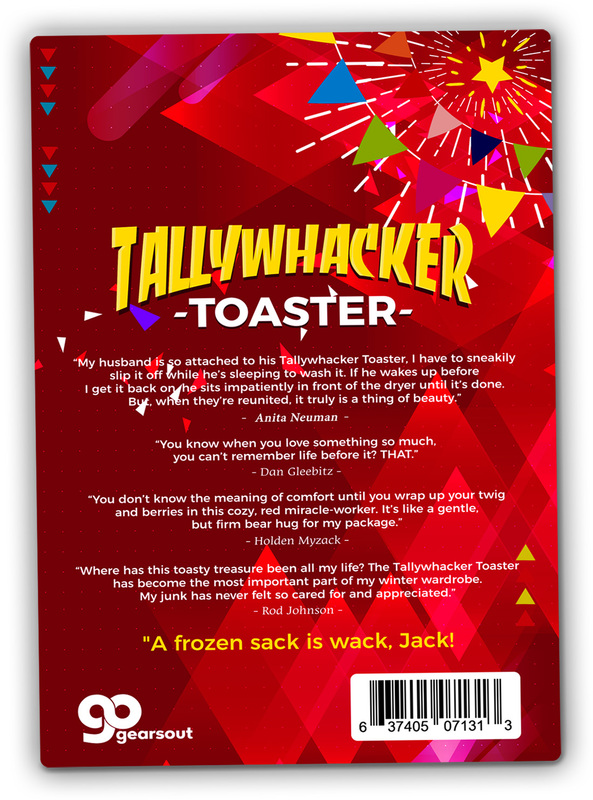 The Tallywhacker Toaster is here for you. 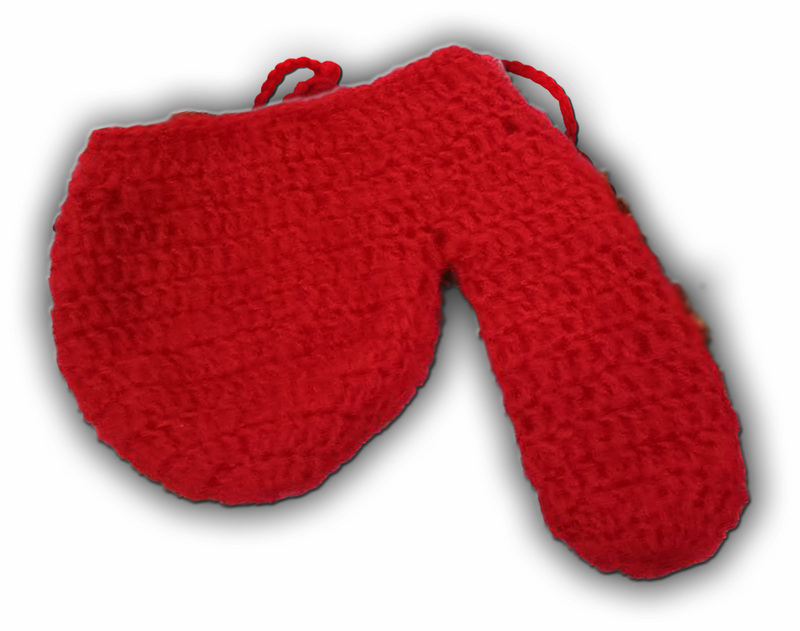 This crocheted tally wrapper keeps your willy warm and shrink-free. This carefully-crafted peter heater has your back…and front…no matter how cold it gets. While the rest of you is shivering, your tallywhacker will be toasty and secure. 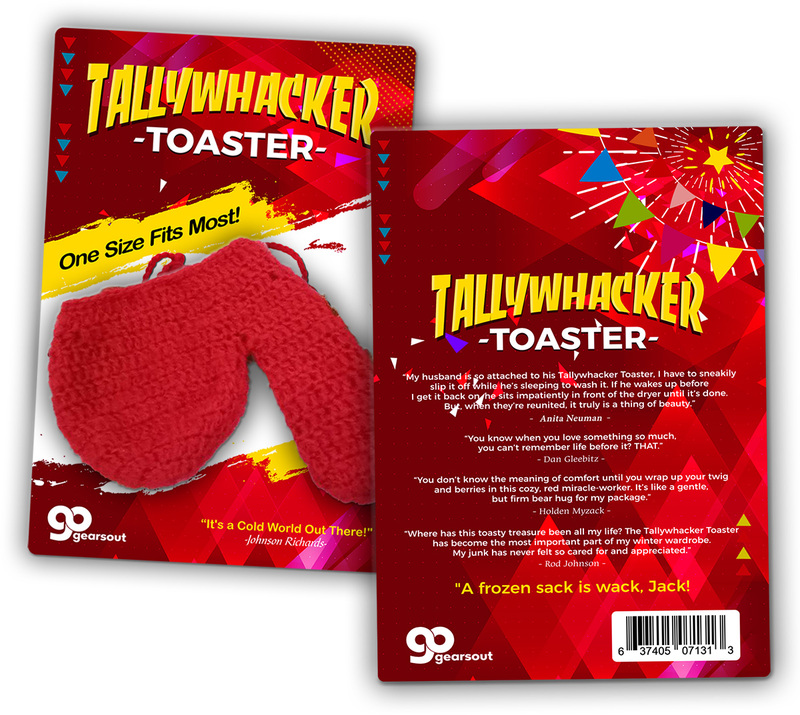 Topping this year’s list of funny gifts for men, the Tallywhacker Toaster is sure to be a hysterical hit for any gift-giving occasion. 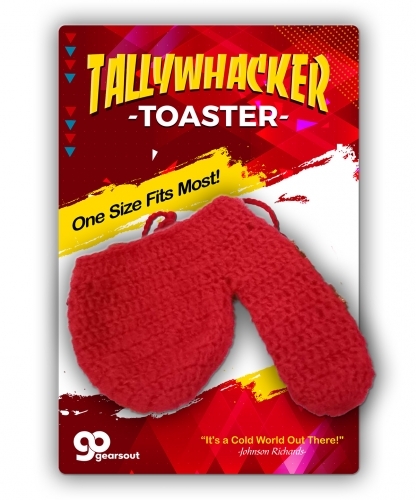 Wrap up this naughty gift for your anniversary, birthday gag gift, or a super surprising stocking stuffer for men who constantly complain they’re freezing their nads off.